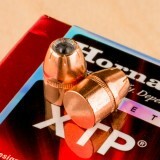 If you are looking for an effective bullet for your .44 Special cartridges, order this box from Hornady. 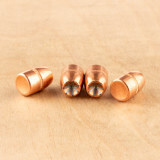 These .430-inch diameter bullets are made for hunting and personal protection, allowing you to make accurate shots that will give you outstanding stopping power. 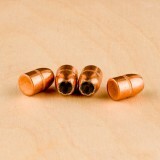 With an intelligent design and superior materials, these 200-grain bullets can help you stop any threat. 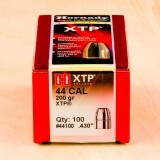 These XTP bullets are excellent for expansion and accuracy. 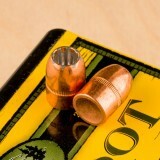 They have precise serrations in the nose of the jacket that aid in expansion. 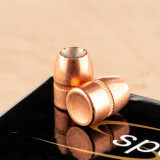 The uniformity of the core ensures supreme balance, while the jacket gradually thickens to enhance expansion while allowing the bullet to keep its form towards the bottom, aiding in expansion. 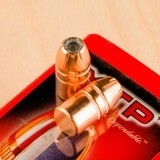 Hornady has some of the most effective ammunition reloading supplies you can find. 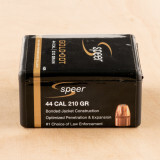 They have reliable bullets for many different purposes, as well as cases and reloading data to help you achieve the best results. 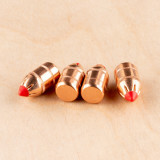 Whether you are a hunter or a target shooter, Hornady has the ammunition you need. 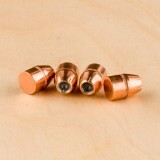 If you are looking for hard hitting and reliable bullets, look no further. 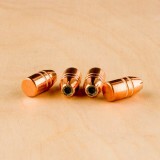 These 44 special projectiles are designed to deliver deep, controlled expansion. 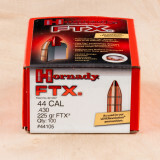 Hornady's FTX line features a flexible polymer tip that prevents over-expansion at higher velocities. 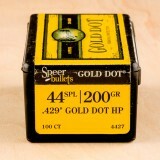 Each bullet in this box of 100 measures .430" in diameter and weighs 225 grains. 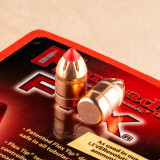 Hornady also incorporates a uniform lead core to ensure balanced expansion as well as in-flight stability. 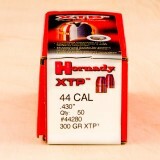 Shooters all over the world use and trust Hornady products for their custom bench loading needs.